Flickr may be in cahoots with Yahoo, but a well built Flickr site optimized for search engines and used creatively for marketing will do your business good in Google and beyond. If you haven’t checked out Flickr yet you should. 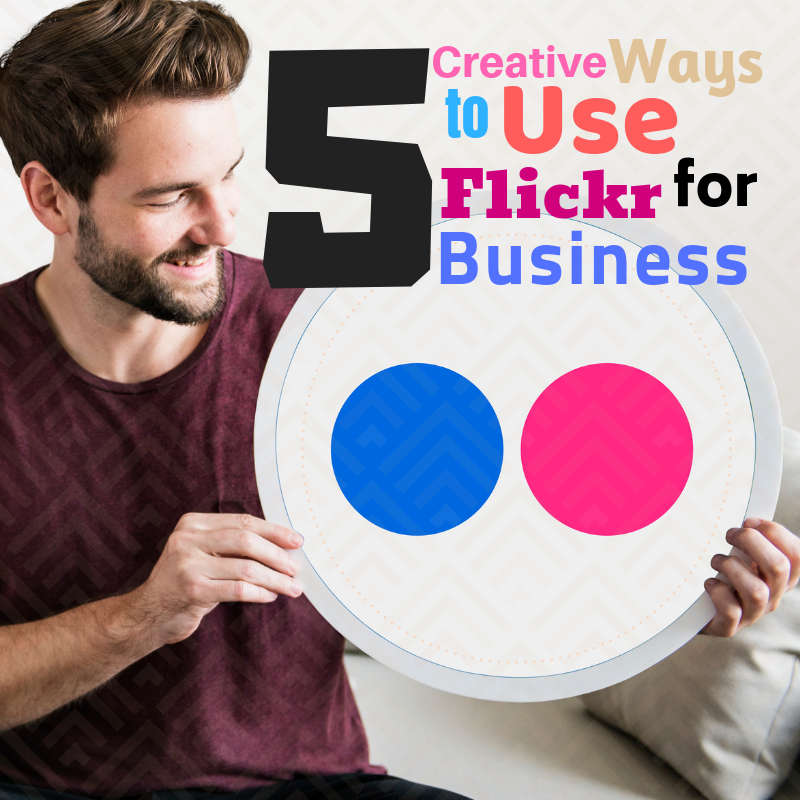 If you are only using Flickr for your personal online photo album, you are in a great place to expand your horizons, especially if you have a small business. Finding Stock Photography– Flickr is a fantastic source for stock photography for your blog. It doesn’t matter what you write about, you will find a photography on Flickr to accompany your article. Of course you are limited to those who are sharing their photographs for this purpose, but even this pool of pictures seems limitless. Just make sure you link/give credit for the photo. One of my favorite WordPress plug-ins is the Flickr Photodropper, which allows you to search and import Flickr photos write from your blog editing tool. Providing Stock Photography– If your online marketing goals include establishing your company as a subject matter expert, building brand recognition, and establishing relationships and goodwill, then providing stock photography via Flickr is a great strategy. If you can create plenty of interesting photographs about that which you are passionate, you will create an interesting Flickr account full of pictures people will want to use. Make sure you alter your permissions to allow others to view and use your photos. Keyword Opportunity – Since every photograph you add to Flickr allows you to write a Title, Description, and Keyword Tags, you have unlimited opportunities to create well optimized photos for which people will find when searching Flickr or any other site/tool that offers Flickr results. Inbound Link Building – When you write a description for each photograph, you can add links to your website, blog, or other social media sites so people can find you. Photographs are well searched and enjoyed by people online. If you are working to reach a specific audience passionate about your subject matter, chances are many of the same people will be interested in subscribing to your blog or joining your Twitter discussions. For example, if you do car detailing and restoration, you and take photographs of this subject matter, the people you talk to on Twitter and your blog will likely be enthusiastic and interested in your photographs. See the connection? Tell Your Story– Telling your story has never been easier. Now that you can store and categorize your photos on Flickr, there’s no reason not to be able to tell your business story through pictures. Your staff, clients and friends can add to your growing archive of captured memories, while your marketing staff can easily grab high-quality photographs to use in their next campaign. If you have bilingual staff or target markets, make sure to add other languages to your account. You can use Groups and Sets to help tell your story or translate photo descriptions in other languages. The sky is the limit with your ideas. Do you use Flickr another way? Maybe you have found another creative use for Flickr you’d like to share. Please leave your small business marketing ideas here or ask questions. The enthusiastic folks at Vivid Image will be happy to keep the discussion going!